The 2019 Grafton Show brings the Clarence Valley community together, showcasing the region’s rural activities and interests. This year’s Grafton Show will be held from Friday 10th May to Saturday 11th May 2019, and will be open from 9:00am to 9:00pm on both days. You can enjoy an impressive display of Arts & Crafts, Cooking, Preserves, Floral Art, Pot Plants, Cut Flowers, Home Brew and much more in the unique heritage listed Barn. 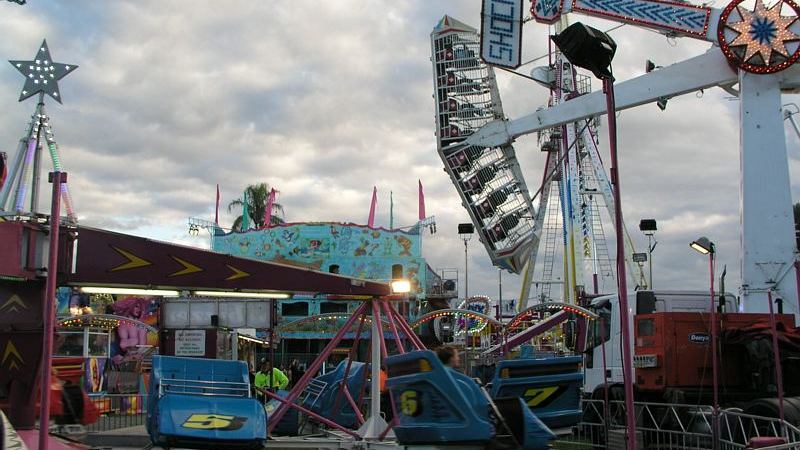 Further features of the show include sideshows, extremely exhilarating rides, food stalls, exhibitions, farm displays, equestrian events, and the Grafton Showgirl Competition. Other attractions include Showmen’s Guild Rides, Demolition Derby, Clarence River Championship Woodchop, Young Farmers Challenge, and Blacksmiths Working Exhibition. Also check out displays from the Gem Club, Farm Produce, Poultry, Cage Birds, Alpaca and Beef Cattle. Other attractions include a Trade Expo, Vintage Machinery display and the ever popular woodchop. The main arena showcases the Equestrian events, including led and ridden classes featuring a variety of horse and pony breeds, show jumping, hack and rider classes, Polocrosse demonstration & Team Penning demonstration. The Grafton Showgirl Competition presentation also takes place in the main arena on Saturday. … And don’t forget side show alley and show bags to keep kids of all ages entertained, and the fireworks on Saturday night at the show finale! Truly an event packed with something for all the family to do – full of activity and fun. Get your tickets at the gate; you will be sure to enjoy the 2019 Grafton Show. For (Friday Only) Group Concession Passes (6 or more) please apply to the office on your organisation letter head.